Given the recent noise about the #30PercentOrNothing movement, it’s a good time to revive one of the ideas I have been talking about for a number of years now. Aside from the fact that we know how the 30 Percent movement will end (it will be co-opted by the PDP, money will change hands ending the whole thing in recriminations and name calling), there is a bigger danger in allowing it be the dominant movement for young people. Without mincing words, it’s a pretty stupid idea but if it becomes the youth organising movement du jour then almost automatically, all young people get to be thought of as stupid people unable to articulate anything that requires any kind of complexity. So just in case the day comes and they say no one else said anything, I want to outline an idea to reform our local government system in a way that benefits, not just young people, but Nigeria as a whole. The first thing to note is that Nigeria’s executive system of governance is almost exactly replicated at the LG level per the 1999 Constitution. So each LG has a Chairman, Vice Chairman and Supervisory Council made of elected Councillors. This is the hardest part of the plan I’m proposing as it involves changing the constitution, which is never the easiest thing to do in Nigeria. There is no particular reason why the LG structure has to mimic the Federal one. We already have a system where our Senators are referred to as ‘Distinguished’ (American) while the Speaker of the House is referred to as ‘Right Honourable’ (British). There’s no better place to experiment with improvements in our democratic structure than at the LG level. Here’s the big idea – scrap the role of the Chairman and Vice Chairman. That’s at least 1,548 politicians we can get rid of in one fell swoop. If each one currently costs us say, N30m a year in salaries and security votes, we can save N186bn over four years. Add the savings from corruption to that and the number is easily N1trillion (ok, I exaggerate). So if we no longer have Chairmen and Vice Chairmen running the councils, how are the councils supposed to function? The answer is to simply move to a parliamentary system at LG level. We simply continue to elect Councilors as we currently do. But this time, once a full complement of Councillors have been elected, they will then elect a Chairman and Deputy among themselves by a simple majority. All spending and revenue raising decisions will be decided this way with the Chairman having the final word as normal in an executive system. In effect, the Supervisory Council becomes the governing council of each LG and Council Leaders can be changed at any time by the Councillors using a vote of no confidence or anything similar. Part of the problem today is the binary system we have in place when it comes to elections in Nigeria. It just doesn’t make any sense to support any party other than the 2 main parties if you are serious about getting into power especially at the federal level. This then makes it very difficult to dislodge incumbents given that the winner takes all system increases the incentives to decamp. Our politicians, who were never men and women of principle or conviction to begin with, will happily sign up anywhere that guarantees them some kind of relevance for 4 years not to talk of proximity to the treasury. Further, our First Past The Post (FPTP) system further entrenches the binary system which makes smaller parties that might be driven by ideology or issues completely unviable. Which means that if we reform the LG system as stated above and continue with FPTP, the benefits will be negligible at best. We need a ‘winner takes some’ kind of system. The issue is how to go about it. 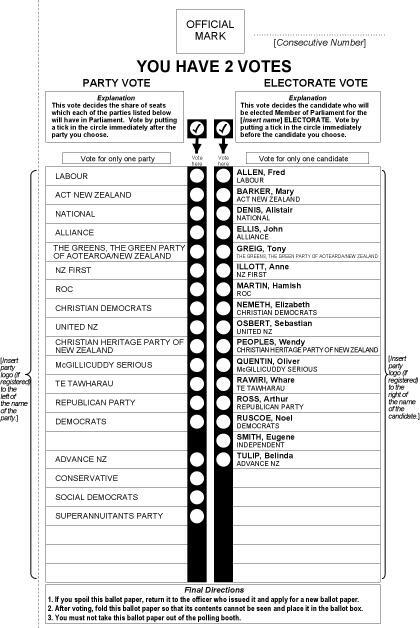 I think we could use something simpler that eliminates the need for 2 votes. The key is that the outcome will be determined by proportionality. Each party will have candidates contesting councillor-ships as normal. But the parties will have a list of candidates maintained internally or however else i.e. the people who actually get to be councillors after the vote will be determined by the party based on the votes they get in the election. Also imagine Ondo West LGA has 10 Councillors and the Labour Party won the vote in every Ward in the LGA. Under the current system, the Labour Party will have all the Councillors even though 60% of the voters in Ondo West LGA technically voted against it. In most other countries, there is a threshold a party must reach before it can win a share of the seats available. In New Zealand you have to get 5% of the vote while in Sweden, you need 4% of the vote to get into the Riksdag. We already have a threshold requirement in Nigeria – a candidate must score 25% of the votes in 2/3rds (24) of the states of the country to be elected as president or 2/3rds of LGAs to be elected as governor. The calculations can be done in different ways but the results should be the same as above mainly. The question of which actual Councillor gets to sit on the council will be left to the party to decide but it must be someone whose name was previously submitted to INEC as a candidate. Or it could be decided by INEC based on which wards the candidates scored the highest number of votes from – either way, it’s just details. Voters will continue to vote how they vote now and parties will campaign as they currently do. The Labour Party will also have control of the council and will almost certainly produce the Council Leader from one of its 4 Councillors. And This Concerns Young People How? So how does this change in system concern young people? Well, for one it makes it much easier to get into the business of governance – the threshold is only 5%. More importantly, there will be less pressure to join one of the big parties as a matter of course. Parties can be organised around as narrow issues as possible – you can have a party of only young people or whatever. As long as you can sell your organising principles to a threshold of voters, you will get into governance. For me personally, as someone who is sympathetic to the APC as things stand, I will certainly not bother with them anymore if we had such a system. I will instead be minded to form my own party with people who believe broadly in the things I believe in – Free enterprise (making doing business as simple as possible), simple, clear and low taxes and fiscal conservatism (no borrowing to pay salaries and never running a budget deficit for more than 2 years). You will also not be obliged to have a ‘national presence’ as is currently required. For example, given that I am happily an elitist as defined in Nigeria today (anti-stomach infrastructure), I will start my party in Eti-Osa LG in Lagos specifically in Lekki area where all the people who talk as if they have hot food in their mouth live. The whole point of this is that it allows young people (who are interested) to take what’s possible without waiting for them to given ‘something’ based on no more than the benevolence of the current politician in office or a viral hashtag. How una check am? Not too bad I think. Devil is of course always in the implementation but the fact remains that under a current system where LG Chairmen are appointed on the whim of the governor, we will never really know what an LG can do in terms of national development in Nigeria. If this works, we can even move the voting system upwards to the State Houses of Assembly…but please don’t mention this part yet because you need the HOAs to agree to the constitutional change to make this happen. If they feel this threatens them, they wont pass it. I don’t think young people are a special class of people who need special treatment like you would disabled people (or maybe they are). What is most important is that whatever changes we make to Nigeria must generally benefit the country as a whole and move us forward. No one is going to make these changes of course but like I said, I am putting my thoughts out there so that, come the revolution, when they are rounding up people to be shot for starting a silly hashtag, I can honestly say I tried to make them see reason. Of course there must be some kind of link between the recent referendum in Scotland and Nigeria. Or is there? Well, if there isn’t, let’s find one. In reality, a Yes vote would have made it easier to draw parallels with Nigeria (especially the Niger Delta) – it’s hard to imagine which parts of Nigeria would vote to remain as one country if the vote were put them freely today. But that is mere speculation. Where I think there are interesting parallels to draw is in the structure of the countries and how they are run. First, a simple equation (apologies, if this comes across as patronising) – England + Wales + Scotland = Great Britain + Northern Ireland = United Kingdom. The UK has no states. Scotland has a parliament, Wales and Northern Ireland have Assemblies, Scotland has a Parliament, England has nothing in particular. They all have varying powers – Scotland’s Parliament for example has what is called the Scottish Variable Rate (SVR) which allows them to adjust income tax up or down by 3%. They have never used this power which the other ‘countries’ don’t have ergo, wherever you work in the UK, you pay the same amount of tax. At least for now. There are other varying powers – Scotland can control the NHS in Scotland in a way that no other ‘country’ can. The chart above is self-explanatory and shows that the biggest source of government revenue is Income Tax and National Insurance. The oil revenues from the North Sea will fall under Corporation Tax which makes up 9% of the total revenues (This partly explains why Scotland is only 8% of UK GDP). What is unusual about all this is that all that money – with the exception of council tax – is collected centrally. You will not find any other G7 country with a system like this. It is odd and quite frankly it’s a mess. Even council tax which is collected at the local level is strictly policed – councils are free to reduce the rates as low as they want but any increase has to be within set limits. Councils can also raise money from things like parking fees and fines but to prevent this from turning into a cash cow, they are again restricted from spending money raised from roads on any thing other than roads i.e. you can’t use money raised from parking fees and fines to collect waste. At least in theory. Even things like the annual filling of potholes during winter is controlled by the central government – in years when the winter is worse than expected and there are more pothole fillings required, the central government has to ‘find’ extra money to give to the councils. So what do all the elected politicians all over the country outside of Westminster do? They collect allocations based on all kinds of formulas and spend it. The central government holds a strong hand at all times given that almost no region can survive on local taxes alone. So it’s quite easy to punish those who don’t toe the line especially when it comes to capital expenditure. This is completely different from America where you will find, say, different sales tax rates from one state to the other – across the UK it’s all 20% VAT. In Scotland, this led to situation where different statistics were being quoted by each side during the whole independence debate. For those who wanted to vote Yes, the favoured stat was that Scotland paid more in tax per head (£10,000) on average than the rest of the UK (£9,200). For those who wanted to vote No, the favoured stat was that Scotland received £12,300 per head in public spending (allocations) than the rest of the UK which got £11,000, on average. For 2 years, both sides flung these numbers at each other. Northern Ireland pays the least in taxes but gets the most in spending while London gets less than it pays in taxes back as spending. You start to get the picture of how the numbers eventually add up. 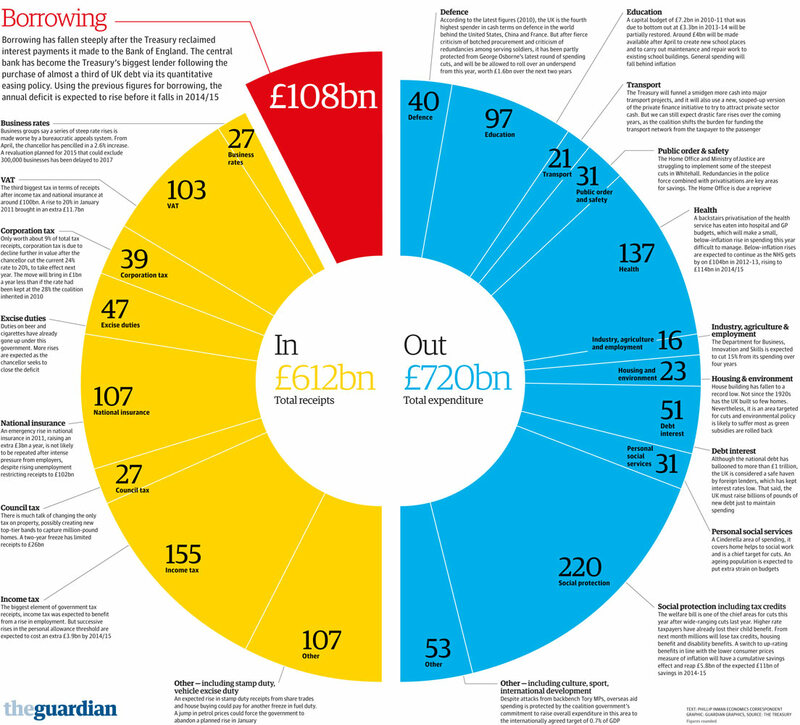 How can a developed economy like the UK run such a centralised system where all the money flows up and then back down again? Surely, giving more powers to the regions and councils would be a no brainer? Well, it’s not that clear-cut. The fact that the UK has no constitution makes it even more messy because powers (and the money that comes with power) are handed down from the central government on a case by case basis. For example, if you consider London to be a state within the UK, it only got a Mayor in 2000 after a referendum in 1998 in which the voters said Yes to the idea. Only one city, Bristol, voted to have a Mayor. 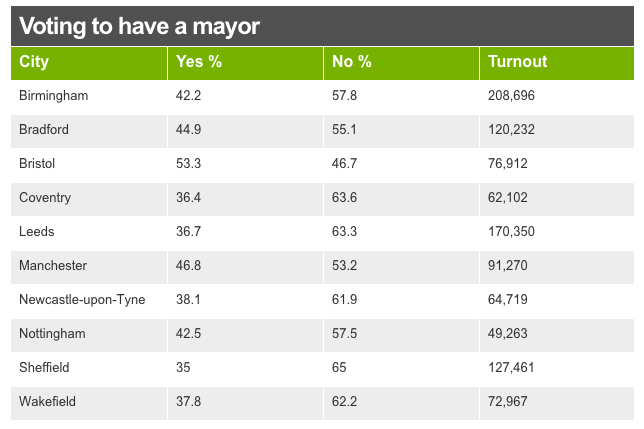 Doncaster also voted to keep its existing Mayor. All the other cities said no thanks. To be fair, the Mayors would have started with minimal powers that mostly covered transport policy – London only has powers to raise 12% of the money it spends every year, the Mayor has to fight for funding from the central government for almost everything else. But given the ‘muddle through‘ nature of government described above, Mayors would surely have gotten more powers over time. The same year, the government tried to allow cities elect their own Police and Crime Commissioners. This time it descended into farce with a cumulative turnout of 15% (Merseyside in Liverpool had a 12% turnout). There were numerous stories of polling stations that did not see a single voter on election day. And it’s not just a recent thing either – In 2004 the government planned referendums in the North East, North West and Yorkshire areas to ask the people if they wanted their own regional assemblies with limited powers on various matters from the local economy to the environment. The referendums were supposed to be held one after the other but by the time the first one was held in the North East and 80% of voters voted against having regional assemblies, the government did not bother holding the 2 others. Why would people reject the opportunity to have government closer to them? Again, I can only offer a simplistic answer – British people, for some reason, have a deep suspicion and hatred of politicians that is almost comical to observe. As far as people were concerned in those elections, they were being asked to create new politicians and they responded by voting No or staying at home. The Royal Society for the Protection of Birds has more members than all the main political parties combined. It’s hard to think of a class of people who are held in lower esteem than politicians (perhaps only journalists are despised more). If you are a Nigerian, what I have written above might be surprising or amusing or both. First of all, the way we organise ourselves is written down in a constitution (regardless of how often we like to test its limits). A few days ago, there were stories in the papers of Lagos state internally generating N384bn in 2013. This money comes mainly from income tax and various other things like advertising signage etc. Imagine if Lagos had to send all that money to Abuja and then have it given back to it? At the moment, that’s what happens with VAT and even that is a source of annoyance that continues to be tested in court. Most Nigerians are rightly frustrated by states that generate no revenues and just wait for a monthly allocation from Abuja to the extent that IGR is now a useful measure of performance of state governors. That is to say, the UK system is unthinkable for a country like Nigeria. So what happened in Scotland? The Scots are a proud people with a long and illustrious history. At different points in time, they have fought the English and either won (e.g Bannockburn) or lost (e.g Falkirk). Since the end of the ‘excitement’ of Empire (which the Scots contributed disproportionately to), there hasn’t been much to excite anyone in the UK. Today’s battles are over mundane things like tax rates and where to park nuclear weapons that are very unlikely to be used anytime soon. When you have a history like the Scots do, the idea of having your taxes flow up to Westminster and then handed back to you based on some Barnett Formula must get really irritating after a while. What is so special about Westminster that my money has to go there before coming back to me? That is to say, the Scots are quite different from those other parts of the UK that rejected Mayors, Regional Assemblies and Crime Commissioners. Even though they currently have the most powers of any region in the UK, they want more. The problem, and where I disagree with the Independence movement, is that they would always have gotten more powers if they wanted it without tearing the Union apart in the process and caricaturing the rest of the UK as enemies of Scottish progress. Indeed, all the main parties were falling over themselves to promise them more powers if they voted No and those conversations will begin soon. What does this all mean? The obvious one is that, if you accept that the UK is a developed economy, then there is more than one way to get to that point for a country. I cannot imagine any Nigerian looking at the UK and saying ‘the system seems to work well for them so maybe we should have a more centralised system too’. Derivation for the Niger Delta currently stands at 13%. The only direction that can move in is for it to increase. Or imagine the chaos of a Nigeria without a constitution? Also bear in mind that if you point to any working federal system around the world today, the British almost certainly had a hand in creating it. Yet, as Scotland has just shown, the UK is only now trying to figure out the whole business of federalism for itself. Like I said, I am just thinking aloud but one thing is for sure, if we ask for more federalism in Nigeria we should be prepared for how it can yield wildly varying outcomes in different parts of the country. If you give more powers to local governments, half will seize the opportunity to do good things with it while the other half will squander it and make things worse than they were. Some will want more, others will want less. If you give some parts of the country more powers, it might even lead to them wondering why they cant have everything and be in charge of their own destinies. There are no ‘neat’ countries anywhere and part of being a country involves taking from one place to give to another. This will happen whether you are a federal system or a highly centralised one. Many political unions subsist on creative ambiguity. That is, if the right question were posed, and the citizenry forced to answer it definitely, political order might spin out of control. All praises of democracy must be embedded in a broader understanding that a) formal questions can be destructive, and b) we cannot be allowed to pose questions without limit, at least not questions which require explicit, publicly verifiable, and commonly observed answers. The quotes above are taken from Tyler Cowen’s blog and it really made me think. Democracy is a funny thing – It is supposedly the will of the people but to keep it going, there are some questions which must not be asked. A rather delicious debate has broken out on the internet over the government’s alleged plans to ban the consumption of ponmo (cow hide) by Nigerians in a bid to boost the leather industry. I also commend NIAS for its advocacy and public enlightenment programs on Radio and Television that promote value addition in Livestock, as against sale and consumption of primary products alone, particularly with the issue of curtailing the widespread consumption of hides and skins as Kpomo which ought to be tanned into leather for a very high dollar return to the farmer and Tanneries. Reading that, it seems to me that they are going to make it harder for people to sell ponmo under the guise of health and safety. The whole point being that when people find it hard to sell the cow hide as food, they will then sell it as leather instead. Given how cheap ponmo is, presumably it will be more profitable to sell it on as leather. The question then is, why are people selling it as food when they can make more money selling it as leather? Why do they need to be goaded by government to make more money? I suspect the answer is that there isn’t much of a market for cow hide as leather out there ergo, eating it makes more sense. But there’s another side to this debate I want to focus on. In 2011, Professors Esther Duflo and Abhijit Banerjee published a very interesting book called Poor Economics which sought to change the way we think about solving poverty. They went out there and talked to poor people and lived among them. In other words, they did the work and they know the thing. They also founded the Abdul Latif Jameel Poverty Action Lab which is a remarkable repository of information and research on fighting poverty around the world. Ponmo tastes nice. And in a world where choices are restricted to things like garri which don’t taste very nice, ponmo assumes the role of a delicacy i.e an adornment and crowning glory on what would otherwise be a very dreary food affair. Understanding this is quite important because it tells you in advance where your policies are likely to come up against stiff resistance. That using cow hide as leather is better for the economy and jobs and GDP is not a fact that speaks for itself. People who live with restricted food choices on a daily basis are bound to see it as an assault by the government. Taste is very important. This explains why, despite decades of negative campaigning and ‘de-marketing’, the consumption of ponmo is still going strong. It has been called all sorts of names from useless to nutrition-less but there is no evidence anywhere on record that anyone has stopped eating ponmo because it has no nutritional value. There is more to life, believe it or not, than eating nutrients. I confess my bias on this topic – the sight of a pot of vegetable soup with a surfeit of ponmo accoutrements, such that it is impossible to dip into it without harvesting several pieces, greatly excites me. This much maligned ponmo can in fact be the piece de resistance in a properly designed meal. I think the Honourable Minister should leave this one alone. I left Nigeria in early 2004. I admit that things have changed a lot in that time. I try to visit as often as I can and can see some of the changes myself. One of the last things I did before leaving Nigeria was to register for the national ID card in 2003. There was a registration stand near where I lived at the time and I still remember the Sagem machines that were used. The story of how that ID card project went kaput is well-known. Suffice to say we never had the ID cards after billions were spent on it by the Obasanjo administration. This short history thus makes me rather amused that now that there’s another ID card project starting, all the complaints seem to be about the MasterCard logo that will be on the card. Premium Times called it a ‘scandalous outrage‘ while one Is’haq Moddibo Kawu writing in the Vanguard went as far as calling it ‘slavery‘. [Sidebar: Anyone who equates anything, let alone an ID card, with slavery, needs to have their head examined as a matter of urgency]. Like I said, I am amazed at the confidence Nigerians are showing over this. If people are complaining about the logo, it appears to me that they consider the fact that they will actually get an ID card as a foregone conclusion. Where is this confidence coming from? It is like a man with no job complaining that a new car released by BMW does not come in his favourite olive colour. We have tried a couple of times to have an ‘ordinary’ ID card and we have failed spectacularly at it. This time around, we are going a step further by merging a payment card with an ID card – something rather innovative globally – and people are complaining about the logo at the back? Wonders. It is not everyone who automatically knows that Visa cards start with the number 4 while MasterCards start with ‘5’. This is one reason why payment cards always carry logos on them. I am yet to come across any payment card that does not carry the logo of the card issuing company on it. Or perhaps the problem is that its MasterCard? Would it also have been a ‘scandalous outrage’ if it was the Verve logo on it? Maybe, maybe not. But the more important questions are being ignored. How is an ID card supposed to work in a democratic country? There are not many free societies – Nigeria is nominally one – where ID cards are used. If ID cards are introduced, it naturally invites people, especially the police to start asking for them at every turn. This is the first step towards something like a police state and is the reason why they always seem to fail when they are tried in a country with entrenched rule of law. How will ID cards work with other existing legal documents? Not everyone drives so maybe the driver’s licence is not universal enough as an example. But what if you have a driver’s licence, will that be good enough? What familiar spirits will ID cards unleash in our security agencies? The questions are many and I have not seen one shred of evidence that suggests that the project is guaranteed to be a success. The thing that makes it interesting is the very aspect that people are complaining about – the payment card. For the first time, a significant number of people might have a direct financial relationship with their government without the need for a middle man. This is something that is taken for granted in advanced countries but is still a big deal in Nigeria. Even the sharing of stomach infrastructure during election season is always done through a middleman – e.g the market women leader – who extracts a heavy transaction cost in the process. We should be asking serious questions about how this project will work, how data will be stored, who will be responsible for what if things go wrong and how much this will cost. Making noise about the logo on the back of the card does not qualify as a serious question.